Bump stocks, devices which according to the Bureau of Alcohol, Tobacco, Firearms and Explosives, allow a semiautomatic firearm to shoot more than one shot with a single pull of the trigger, will be banned in the United States starting Tuesday, despite an emergency request by gun owners to temporarily stop the Trump administration’s ban while cases challenging the ban are on appeal. “We are faithfully following President Trump’s leadership by making clear that bump stocks, which turn semiautomatics into machine guns, are illegal, and we will continue to take illegal guns off of our streets,” then-acting Attorney General Matt Whitaker said in December. The gun-advocacy groups allege that the Trump Justice Department has “created a new crime … out of whole cloth,” violating the separation of powers. They also indicate that an 85-year-old ban on machine guns is unambiguous and that the law does not apply to the bump stock devices. 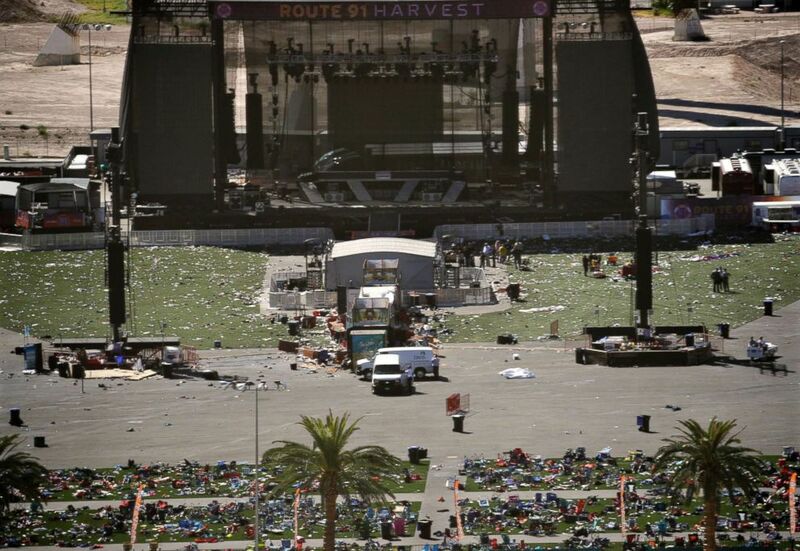 (John Locher/AP) Debris is strewn through the scene of a mass shooting at a music festival near the Mandalay Bay resort and casino on the Las Vegas Strip, Oct. 2, 2017, in Las Vegas. U.S. District Judge Jill Parrish ruled that Clark Aposhian’s attempt to get an injunction granted, placing the ban on hold until his lawsuit has concluded, was denied because he did not show “a substantial likelihood of success,” the judge said according to the Salt Lake Tribune.